Multi-faceted entertainment company Atlantyca, has signed a multi-territory licensing agreement with Nintendo to provide young users with a variety of themes for Nintendo 3DS family systems to feature Atlantyca’s popular “Bat Pat” animated series brand. Commencing in April 2017, “Bat Pat” images, unique icons, and backgrounds will be incorporated within a range of personalized Nintendo 3DS HOME Menu themes that will be purchasable for Nintendo 3DS family systems owners. The deal sees Bat Pat themes expanding their reach to include Europe, South Africa, Australia and New Zeland. “Kids are all about mobile entertainment, digital tablets, and fun on the go,” noted Marco Paccinini, Atlantyca Entertainment’s Licensing Manager. “Nintendo has been a wonderful partner for us in the digital space, our past successes with our Geronimo Stilton and Thea Sisters brands have compelled us to pursue the same wonderfully successful opportunity for our newest property, “Bat Pat”. Atlantyca is all about bringing the fun of their wonderful animation and publishing characters to the next generation of screens.”; “Bat Pat” is produced by Atlantyca Entertainment and Imira with the participation of Rai Fiction and RTVE and has been sold in Italy, Spain , Belgium , Sweden Lithuania and Middle East. Bat Pat (52 x 11 min) is the spooky animated adventure-comedy that proves the supernatural isn’t always evil – just misunderstood. Bat Pat is joined by Silver siblings: Rebecca, Leo and Martin, and a range of lovable creepy characters. 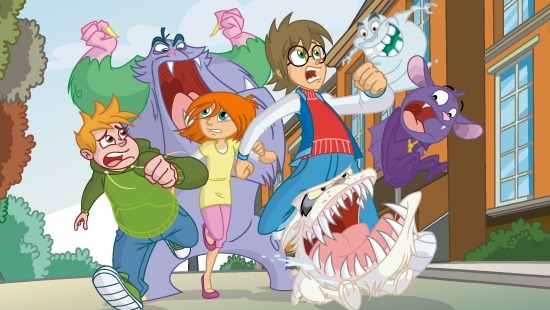 Together with their winged companion, who has a terrible memory for supernatural facts with a keen nose for nocturnal mischief, the four best friends work to help the quirky “Fogville” town dwellers to unravel the mysteries of the scary creatures that lurk about. Balancing comedy and action, the series is a spooky sitcom that maintains the fast-paced quirky character humor of a traditional comedy, mixed up with some unexpected adventures.